No, it is not that sausage fest you are thinking. Located at the 2nd floor of the Yard at Xavierville, Wakamojo unleashes a grand sausage party like no other. In case you have not guessed, it is a sausage themed food stall. Hotdogs here are mixed with different ingredients and brought out in affordable prices. For those who don't like their sausages on sandwiches, they also have it on rice. How great is that! 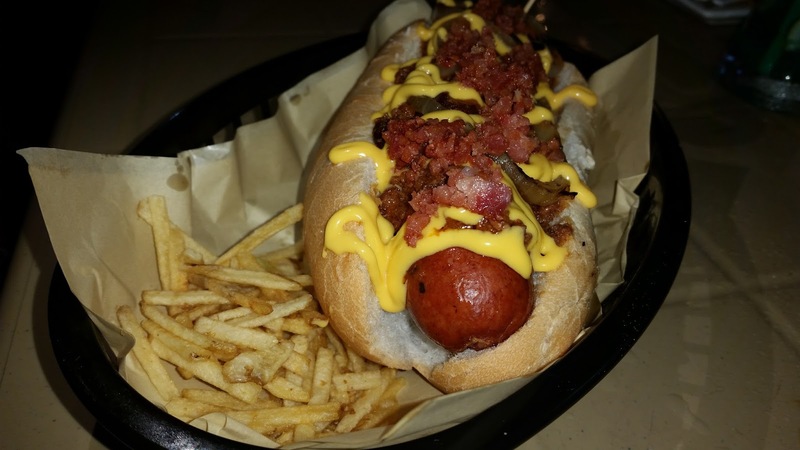 Wakamojo Dog is hungarian sausage with chili con carne, bacon bits, nacho cheese and grilled onions. Believe it or not, I had a hard time finishing the entire thing which means it is good for at least two people. 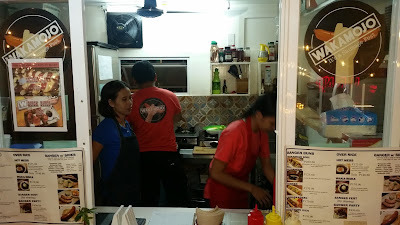 I love the concept of this place and they cook their sausages nicely too. I'd definitely come back as their sausages have me craving for more. I could talk about their sausages all day actually.